Join me for an afternoon of fun and creativity, where you will make three beautiful cards and a matching gift box. 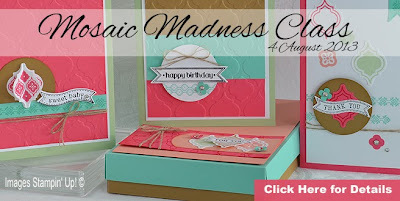 The class uses the Mosaic Madness Bundle (stamp set and coordinating punch)! Click here for your flyer and share with your friends!